Following on from the Daddy Long Legs, TaylorMade has added to their counterbalanced range with the Spider Blade. This high-MOI offering is a heel-toe weighted blade that provides similar stability and forgiveness to the Daddy Long Legs, but in a smaller, blade-shaped head. 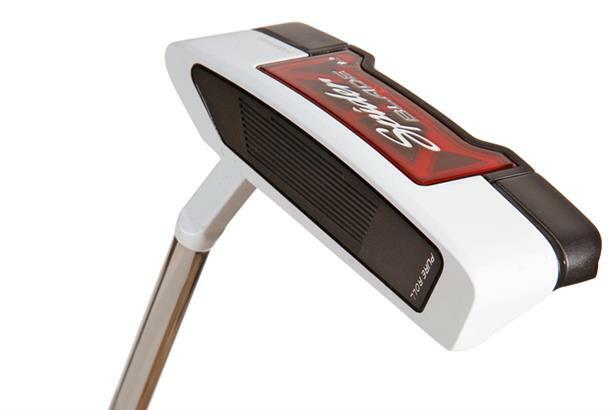 It has an MOI of 5200 – the most in any blade ever created by TaylorMade, making the putter 50 per cent more stable. Raising the MOI means the putter is easier to swing back and through the intended path – something TaylorMade calls “Stroke Stability”. To get the most out of counterbalancing, about three inches of the top of the grip should extend above your top hand when taking your stance. The Spider Blade’s head is made of 11 parts in eight different materials. As reviewed in our 2014 Putters Test: Felt very in control of this, despite not being a massive fan of the looks or the chunky grip. Head looks a bit chunky too. Not especially easy to align either, but it performed very well from a variety of distances. The Pure Roll insert offers a consistent roll and soft feel. The longer grip seemed to enhance control. 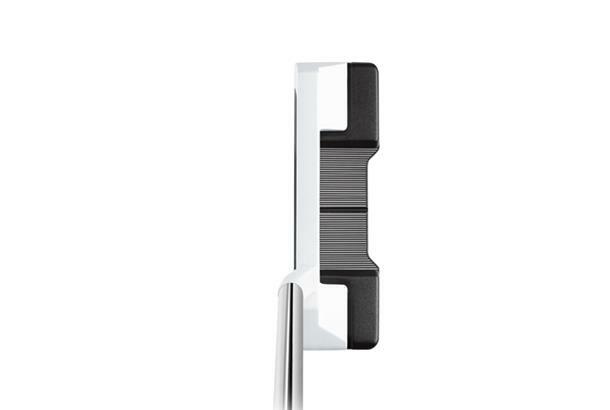 As reviewed in our 2013 Putters Test: Surprisingly simple to grasp and control. Difficult to aim despite the lines on the crown, but preferred the feel of this to other counterbalanced models on test. Liked the thicker, spongy grip, but tended to miss putts right. One of his most consistent performers but the crown design was too busy. I bought this as I'd developed putting issues after several years with my Scotty. I just couldn't get comfortable with a short putt no matter what was in my hands. I tried this in a store and it just holed out again and again from within ten foot. Having bought it, the only limit to my putting now is my ability to read a green - in summer I've had several rounds of 26 putts total. 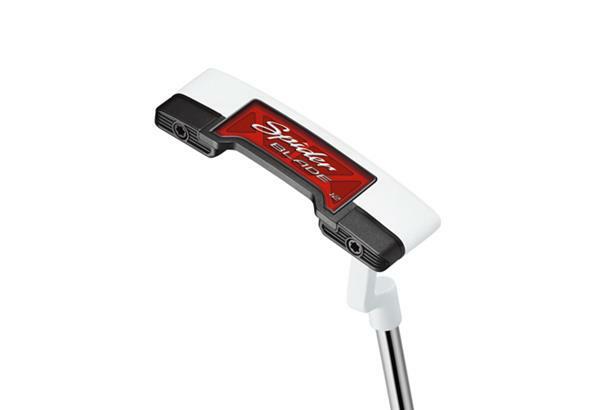 It's a fantastic putter and although I have read issues on the internet of the paint flaking off. I've kept the headcover on mine and seen no issues. The only negative I can say is the headcover is a little bit too snug and I've ended up putting a slightly bigger headcover on it.